This course is developed and contributed by the Emergency Medicine Unit of The University of Hong Kong and the Department of Rehabilitation Sciences of The Hong Kong Polytechnic University with the generous funding of the China Medical Board. Chinese subtitles and Chinese translation are provided in the videos and the course assessment respectively. For any enquiries about the course, please contact Mr Abel Lau at abellau2@hku.hk or (852) 3917-9409. China, which is one of the countries most severely afflicted by natural disasters, has suffered huge loss in human lives and economic terms from various sorts of natural disasters over the years. What’s worse, nearly half of the Chinese populations live in rural areas. 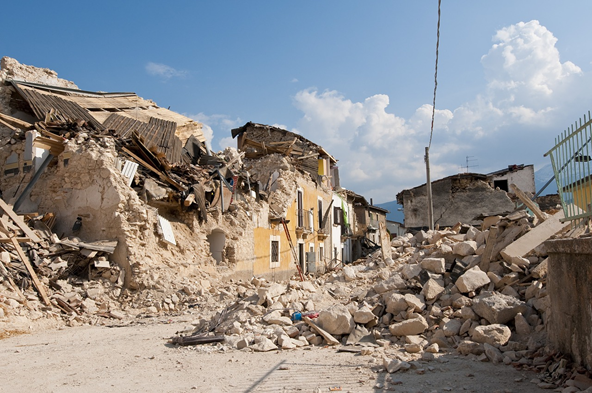 The impact by natural disasters in rural areas is disproportionately high. There are two foci of the Course: disaster response and rehabilitation in the rural setting. The first focus covers the knowledge and skills, in basic and advanced level, essential for disaster response. The second one is on the rehabilitative care for victims in a natural disaster. There are 5 modules in the Course. Any persons who may serve as an emergency responder to natural disasters. They include the healthcare professionals, medical, nursing and allied health students and the general public. The following table explains the breakdown for what is required in order to pass the class. In order to complete the course and get an e-Certificate, students are required to achieve a passing grade of 80% in the assessment. 2.5 Cat 3 (SS) non passive CME & 2.5 Cat B TP for respective participating Fellows & trainees after completion of the whole e-learning course (5 modules).